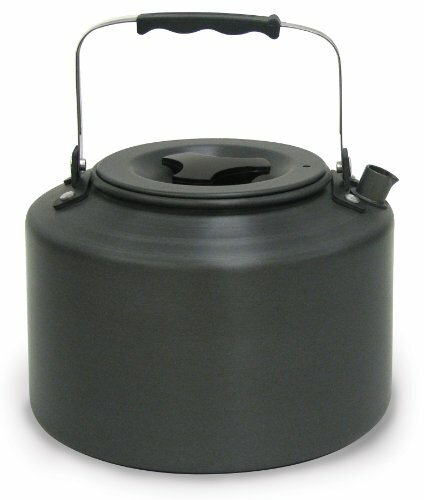 Stansport Backpack Kettle is made of hard anodized aluminum, heats quickly and evenly. Abrasion resistant and twice as hard as steel. The handle folds down for easy storage. 1.5 liters capacity.